Momentum Plus makes an excellent gift for students, professionals, and anyone else who could use a daily boost of inspiration, productivity and focus! You can purchase Momentum Plus gift codes for your own account or gift them to someone else on Momentum's Gift page. The Plus membership won't start until it has been redeemed on Momentum's Redeem page. You can buy single or multiple Momentum Plus gift codes on Momentum's Gift page. Click Login next to 'Already have an account? ', and then log in to your Momentum account. If you don't already have a Momentum account, filling out the form on the Gift page will create one for you. Once logged in, fill out the required payment info. If you’ve added a Credit Card to your Momentum account before, it should be saved. If you want to use a different card, click "Use other credit card” next to your saved card. Select the number of yearly Momentum Plus memberships that you want to purchase from the drop-down list. Click the Buy Gift button. Your gift code(s) will show on the screen right away. You can also see them in the Gifts section of your Momentum account page. Once you have a Momentum Plus gift code you can redeem it on Momentum's Redeem page. Once you have a gift code, visit Momentum’s Redeem page. Paste (or type) the Momentum Plus gift code in the space provided. Type in the email of the Momentum account that you want the gift code to be redeemed on. • If you don't already have a Momentum account with this email, you will be asked to Choose a Password. Type in a new password in the space provided. You will use this password and email to login to your Momentum account. Don't forget to check your email for an account verification message from "Momentum Dash" after redeeming your gift code. Take a look at our Momentum Plus overview to learn more about each of Momentum's exclusive Plus features. To start using your Momentum Plus benefits all you have to do is log in to the Momentum account you redeemed a gift code on. To log in to your Momentum account, click the Settings ⚙️icon at the bottom left corner of Momentum, click Log In, and then when asked, type in and enter the Momentum account Email and Password that you activated a Momentum Plus gift code on. Having problems finding or redeeming a gift code? If you've purchased a gift code, but can't find it, visit the Gifts section of your Momentum account page. If someone else has purchased a gift code for you, ask them to visit the Gifts section of their Momentum account page, so they can share the gift code with you. If your code isn't redeeming, visit the Redeem page and double-check that you have typed it in correctly before clicking Yes, Redeem. 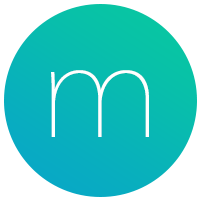 If you're having any other problems purchasing, finding, or redeeming a gift code send us a message at help@momentumdash.com. Our team is happy to help however they can!